After the launch of Karbonn Cosmic Tab 10, Karbonn Mobiles comes with another Android tablet in the Indian market. Karbonn Smart Tab 8 Velox has a 8-inch display with 1024 x 768 resolution, 1.5 GHz Cortex A9 Dual-Core Processor, 1 GB RAM, 3MP rear camera & front facing camera for video calling. 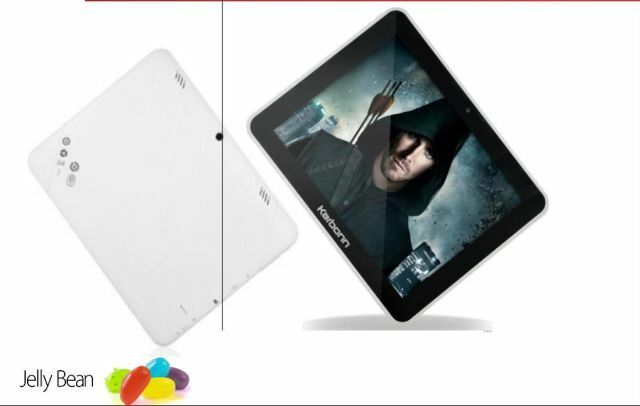 Smart Tab 8 Velox is powered by Android 4.1 Jelly Bean OS and it’s loaded with 4500 mAh Battery. Karbonn Smart Tab 8 Velox loaded with 1 GB RAM, 1.5 GB Internal Memory and it support MicroSD up to 32 GB. Karbonn Smart Tab 8 cost you around Rs. 6799/- on eBay. We’ll confirm you when we get more info on final price.